Monogrammed Truffle Favor Box - Set of 10 - 3" x 2" triangle truffle shape box in textured white with black satin ribbon cut to size and white on black monogram embellishment. Double sided tape or glue recommended for ribbon & monogram. Easy assembly. 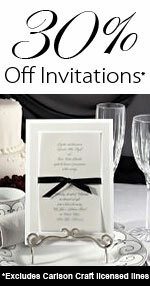 Includes: 10 Truffle Favor Boxes, Monogrammed Initial Embellishment and Black Ribbon.